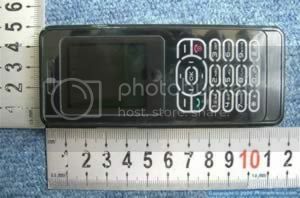 The UTStarcom GPRS-1228 is a tri-band GSM mobile phone which looks similar to Motorola’s ultra-slim SLVR. The handset from UTStarcom features an MP3 player, TV player and a VGA camera. The GPRS-1228 which also provides a slot for a microSD memory card is likely, although I can’t be quite sure, to be available first in china. As you can see the GPRS-1228 is around 50mm wide by 120mm long, not sure of when this handset is likely to be available in the UK, just have to keep an eye out for it for now. No current information on price either.